Some may not understand that the words beautiful and dental crowns belong in the same sentence but they do. Dr. Rona Legunn’s dental practice of Carmel, NY is where beautiful smiles are restored. Dr. Legunn offers a caring, gentle and artistic approach to crowning teeth that are broken, cracked, or severely decayed to yield stunning results. What Happens if I Need a New Front (Anterior) Tooth? Some of our patients come to us with complicated problems. Some have knocked out a front tooth or have suffered from such severe decay or tooth trauma that they cannot keep their natural front teeth. Dr. Legunn welcomes these patients wholeheartedly. Creating beautiful all white crowns and restoring teeth to their natural look is her passion. If you need a tooth strengthened or restored by a crown, let Dr. Legunn and her experienced Carmel dental staff help. What do Dental Implants have to do with Dental Crowns? In addition to using dental crowns to protect what is left of a natural tooth, crowns are also used to restore dental implants. Dental implants are the titanium screw-like piece that is surgically implanted into the jawbone. Each dental implant needs a crown. The crown is the portion of the dental implant that looks and functions as a tooth. For surgical implant consultations, patients can be seen in the same Carmel office by a Periodontal specialist. Our Carmel Periodontist will listen to your goals and concerns, answer your questions, will discuss dental implant cost, and help determine the best dental implant treatment plan for you. After he completes the placement surgery, Dr. Rona Legunn will create a comfortably fitting and aesthetically pleasing dental crown or bridge to permanently restore the implant/s for long term results. Patients who choose dental implants to replace missing teeth should be able to eat, chew, and talk normally. Dental implant recipients enjoy all the things they did before losing any teeth. Many report that they experienced very minimal pain and healing time was much less than expected. Our preferred Periodontist is highly trained and experienced. He is regarded for his exceptional implant work and being able to save a tooth otherwise deemed as hopeless. Don’t hesitate; come visit our office in Carmel, NY for a dental crown or cosmetic dentistry consultation. 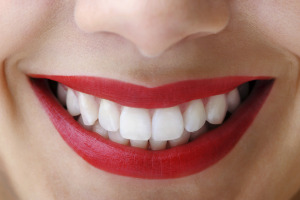 If you are in need of a smile repair, we offer convenient and affordable services to help create a beautiful smile. Call today to schedule an appointment.